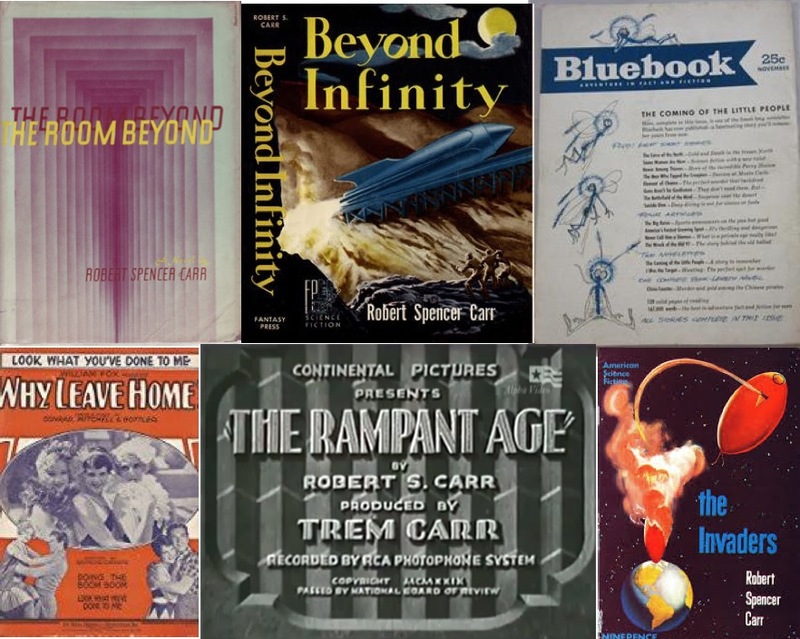 Professor Robert Spencer Carr was the guest of a local radio show on Oct. 11, 1974 to promote the upcoming Flying Saucer Symposium by PSI Conferences in Tampa, Florida. During the interview, Carr made the shocking disclosure of the US government’s cover-up of the crash of a UFO in New Mexico. It created a media sensation that lasted for months in print and broadcast news. But who was Robert Spencer Carr? He was a child prodigy with published magazine articles at age 10, an international best-selling novel author at age 18 and a Hollywood screen writer at 20... he had 3 novels and at least a dozen short stories, mostly science fiction. Like many of his colleagues, he became a member of the USA Communist party during the 1930's. He actually lived in Russia from 1933 to 1938 (during the worst of Stalin's purges), where he became totally disenchanted with Communism. He returned to the US and renounced his party membership. He refused to testify against his former comrades during the HUAC witch-hunts of the 1950's. Back in the US, Carr resumed his writing career, which included a substantial body of work during his four years as Director of Educational Research for Walt Disney Studios. He served in the Army during World War II, enlisting in 1944 and becoming a sergeant where he wrote lectures for officers to deliver to the troops. After that, he returned to the motion picture industry for several years, writing and producing educational films contracted by the State Department at the International Film Foundation. It was also during this period that Carr became interested in flying saucers. During the 1950s, Carr otherwise was not active publicly in UFO activities, but he was a long-time member of the National Investigations Committee on Aerial Phenomena (NICAP). The best period documentation of Carr’s NICAP role in a high-profile investigation into a 1965 UFO occupant encounter. Carr, during the 1965 Brooksville investigation. “A Public relations man from Pinellas County, Robert Carr, a member of NICAP,” told about the investigation of “the Brooksville incident in which a man testified that he spotted a landed unidentified craft with strange creatures walking around outside... 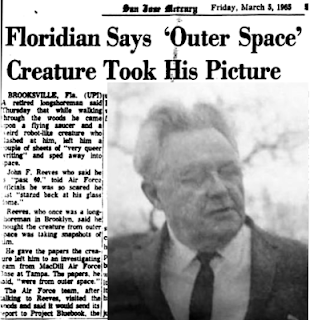 Creatures three to four feet long have been reported... Carr also stressed that he does not believe any of the reports involving sightings of space creatures that he has investigated so far.” (Project Blue Book has a 109-page file on the Brooksville case, and on page 44, a clipping of the APRO Bulletin, which mentions Carr’s investigation. The architect of Operation Lure? The basic idea was first suggested by a NICAP Special Adviser, Robert Spencer Carr, former Director of Educational Research, Walt Disney Studios, a specialist in visual-aid education who has served with the Army Orientation Service and has produced educational films for the State Department. Since the original suggestion, I have privately expanded the plan with aid from Carr, linguists, psychologists and experts in other fields. One of the best-kept secrets of the United States Government is that in Hangar 18 at Wright-Patterson Air Force Base near Dayton, Ohio, there are two flying saucers of unknown origin, a University of South Florida instructor said yesterday. This article on Carr’s debate seems to be the the first time Hangar 18 was named as the hiding place for UFO secrets, at least in print. If Carr wasn’t the first to name it, he certainly is responsible for making the name Hangar 18 famous. The story only was good only for some local news coverage at the time, but it exploded in the Fall with further disclosures. Hangar 18 was just the opening of Carr’s message, though. The crashed saucer story was a teaser to demonstrate what the UFO cover-up was depriving us of, to highlight how much more we could learn from the aliens by using Operation Lure to establish contact. 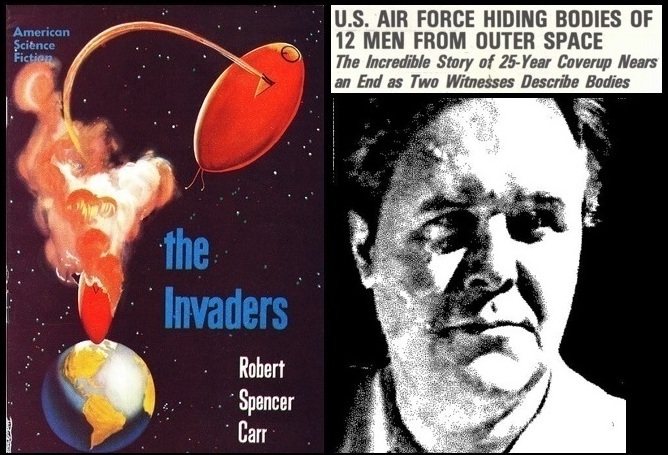 Robert Carr retired from the university in June 1974, and took up a new career as a UFO lecturer. PSI Conferences (PSI for Psychic, Spiritual and Intuition) hired him for the Tampa “Flying Saucer Conference,” and on Oct. 11, 1974, during a local radio show interview to promote it, Carr told his story of captured saucers again, but in far greater detail. This time, it made international news, and Carr was hounded by newspapers, radio and television reporters for more information. 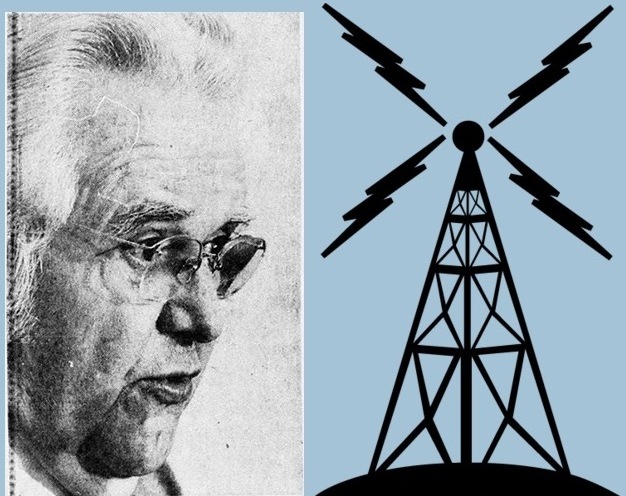 Local radio started the buzz with the Carr interview, and the Zodiac News Service (ZNS, provider of bizarre and offbeat stories to progressive radio stations, college, community and underground newspapers) helped broadcast the sensational news nationally. (ZNS) Professor Robert Carr, a former instructor at the University of South Florida, announced last week that the United States government has secretly captured a complete U.F.O. with 12 dead beings aboard. Now. Professor Carr is predicting that by December 15th - in about eight weeks the U.S. government will launch a carefully-engineered effort to prepare American for an announcement of the existence of extraterrestrial life. 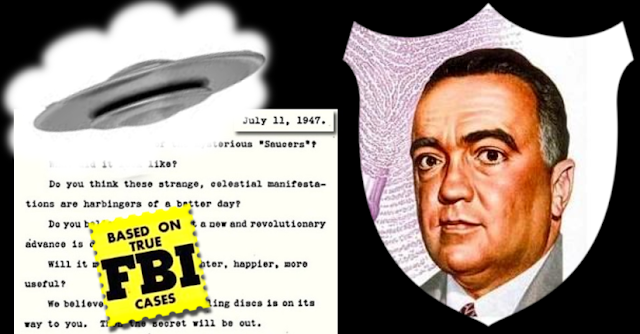 the professor created a minor sensation last week after stating in a Florida press conference that the Pentagon has recovered a perfect "flying saucer" that allegedly had crash-landed in the desert near Aztec, New Mexico, in 1948. Professor Carr says that his sources for the incredible story are three men directly connected to covering up or protecting the project—a biologist who examined the bodies; a security guard who protected the ship in a hangar at the Wright-Patterson Air Force Base in Ohio; and a high ranking military officer who reportedly viewed the bodies of the 12 small beings while autopsies were conducted on them. The professor states that all his sources report that the 12 beings were apparently the victims of a decompression accident when the ship was punctured alter entering the Earth's atmosphere. All witnesses, he says, described the visitors as being exactly like small humans —three to four feet tall; white skinned; light haired; blue eyed; in perfect physical condition, but with highly-developed brains. The professor insists that the 12 bodies are still in "deep freeze" at Wright-Patterson Air Force Base, and that the ship is being concealed in a hangar at the air base. Wright-Patterson Air Force officials flatly and unequivocally deny the entire account. 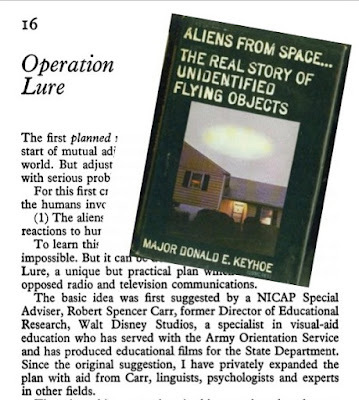 Carr’s mission was to launch Operation Lure, but all most people heard was, “Wright-Patterson Field has in its possession a spacecraft… blah, blah, blah.” Many people hearing the news break on radio took it to be an explosive new disclosure, mistakenly thinking Carr was describing a recent UFO capture, not a story from 1948. Reporters were just interested in the saucer and bodies in Hangar 18, so the plan for peaceful contact was seldom mentioned. The press coverage of the story was huge, carried in newspapers across the US and Canada by syndicated newswires such as the Associated Press and United Press International.